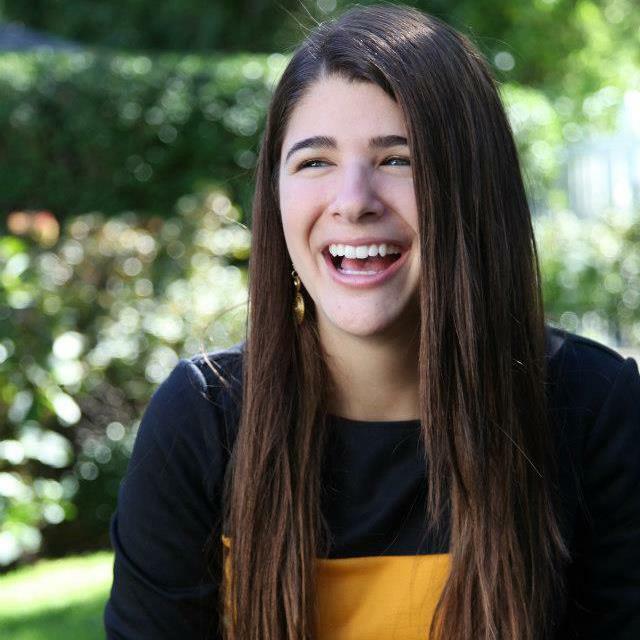 Adina Lichtman, originally from West Orange, New Jersey, founded the non-profit organization Knock Knock, Give a Sock during her sophomore year at NYU. HL: What sparked your interest in helping the homeless community and how did your experiences lead to the creation of Knock Knock Give a Sock? AL: One cold night in November 2014, I was handing out sandwiches to people experiencing homelessness in Manhattan when one man approached me. “It’s great that you’re giving out sandwiches,” he said, “but one thing we really need is socks, especially as winter approaches.” Here I was, sandwiches in hand, assuming I knew the best way to help people. In reality, helping is about listening, and hearing the needs of different communities. It was a powerful lesson, and I wanted to put it into action. I began that night, taking a simple step: I knocked on every single door on my NYU dorm floor. I asked my neighbors if they would donate just one pair of their own socks to someone experiencing homelessness. To my surprise, I collected over 40 pairs of socks in a single night, from a single floor. The next morning, I walked out of my dorm room to find a huge pile of socks in front of my door from other people who had heard of what happened. It started small, but I knew it was such a simple concept that it could easily be grown. College students love to do good, but sometimes they need a literal knock on their door to do so. And most everyone has an extra pair of socks they can donate. That morning, I created Knock Knock, Give a Sock. Three years later, I was a college senior, and KKGS had spread to over 20 college campuses, where we had collected over 50,000 pairs of socks in the same simple way I had that first night. Our slogan was Meet Your Neighbors while meeting the needs of others. However, I felt there was a problem– the students who collected the socks were only meeting half of their neighbors: those who were living in their building or dormitory. They weren’t meeting their neighbors outside their doors, those living in local homeless shelters or on the streets. I decided to bring 50 college classmates and 50 neighbors from local homeless shelters to have dinner side-by-side. What happened next was magical. Neighbors were getting to know each other as people, not as categories. College students were saying, “We can’t tell who is homeless and who is not.” They were meeting moms who had three kids who couldn’t afford childcare; dads who had gotten out of prison who couldn’t get jobs; people working full time jobs whose minimum wage salaries weren’t enough to cover rent. The stigma around homelessness was being broken, and once again, I knew I needed to take my idea and grow it. I decided to bring our model to the corporate world. HL: The Orthodox community at NYU is an active one. How did your connection with the OU-JLIC couples on campus shape your time at NYU? AL: My connection to the Orthodox community played a huge role in the growth of KKGS. I had a whole community supporting me from day 1. I had both the Wolfsons-Shmuels and Blacks who were constantly supporting my initiatives and getting the wider NYU community involved. Even when Jeb Bush came to do a candle lighting at NYU, the Jewish Community at NYU brought me to say a few words and Jeb Bush donated socks! They always highlighted the work of their students. When I first started KKGS, Rabbi Black helped connect me to all the different OU-JLIC campuses, and as Rabbi Joe came into NYU – we immediately hit the ground running by incorporating KKGS into his huge Matanot Le’evyonim initiative. HL: What advice would you give to college students interested in becoming social entrepreneurs? 1. Find a need, research it, see if it exists in your area, if it doesn’t – DO IT! 2. Don’t wait for funding to come in and make a lot of big plans. Just start by doing the first steps. The first step of impact is never a dollar, it’s an action. 3. Never assume the needs of a community you are hoping to serve. Connect with the community and ASK how you can help or if what you are creating would be truly beneficial. HL: How does KKGS operate today? AL: KKGS is a non-profit organization that brings communities together in order to help those experiencing homelessness. They turn transactions into interactions. Their motto is Help your neighbor, Meet your neighbor, Know your neighbor. In addition to providing needed resources by collecting socks, they raise awareness about who the homeless are. They do this through a two-step process: 1) Engage a company/community in hosting a sock drive. 2) Offer a company the opportunity to host a ‘Meet Your Neighbors Event’ to meet the recipients of the sock donations. They foster communal engagement through Meet Your Neighbors Dinners, which move beyond simply collecting socks and actually further the aim of breaking stigmas while breaking bread. HL: You have continued to expand KKGS’s programming, what are your programming and engagement goals for the coming five years? AL: Our five-year plan is to create 150 Meet Your Neighbors Dinner across NYC. For our sixth year, the plan is to create a ‘Meet Your Neighbors Center’. Our MYNC would host 3 companies and 3 shelters weekly for a Meet Your Neighbors Dinner. Our ten-year plan is to franchise that model to the 25 most populated cities across America. We believe that if we are able to get more people in power to know the names of their less-fortunate neighbors, we will be able to create communities in which decisions are made for the benefit of all who live– not just for the ones lucky enough to have homes. We know, ultimately, that humanizing homelessness will fashion a world that is better for everyone who lives in it.